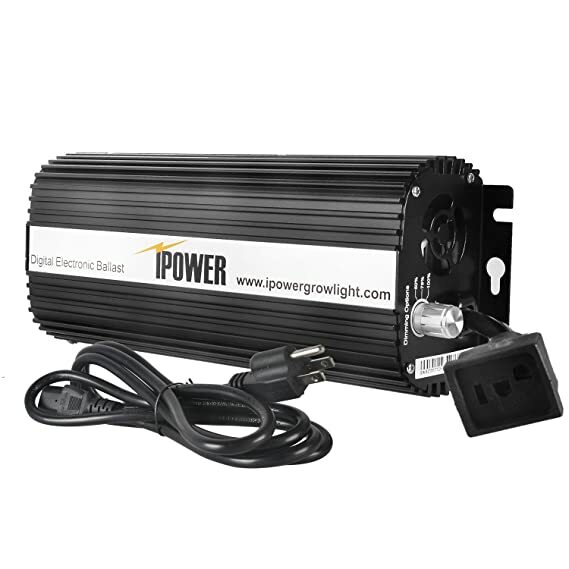 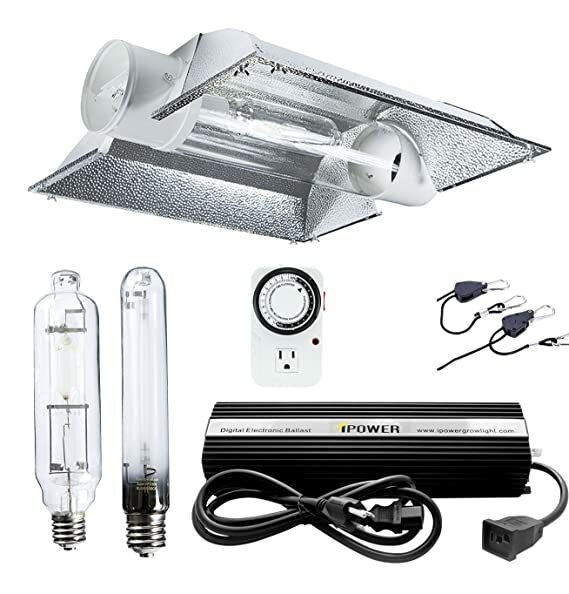 From seeding to flowering, iPower Grow Light System has your plant covered with all the light it will ever need. 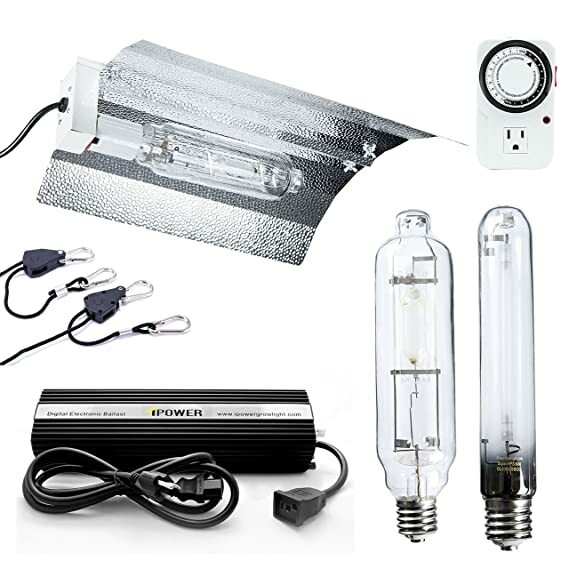 HID provides the most lumens per dollar, which means the most yields for your investment. 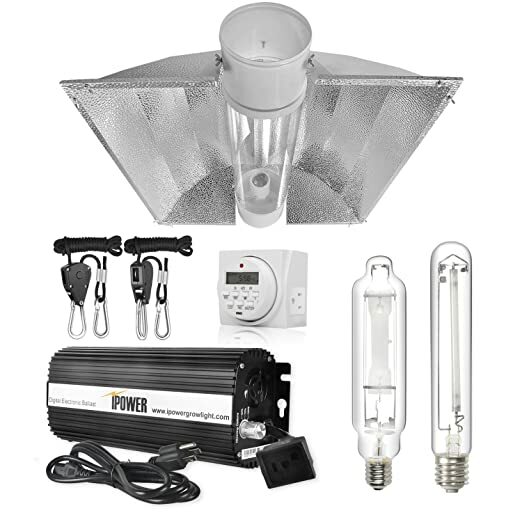 This kit eliminates the need for mixing incandescent with fluorescent or additional LEDs that provide little gains at 2 to 3 times the cost. 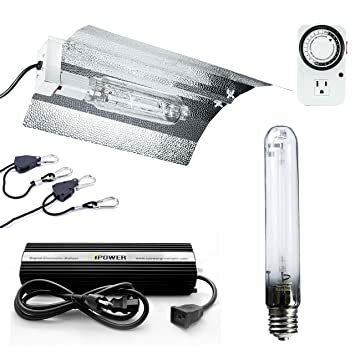 The balanced spectrum set of lights will not only be well-absorbed by plant’s chlorophylls, but also promotes healthy chlorophyll production and regulates plant life cycle. 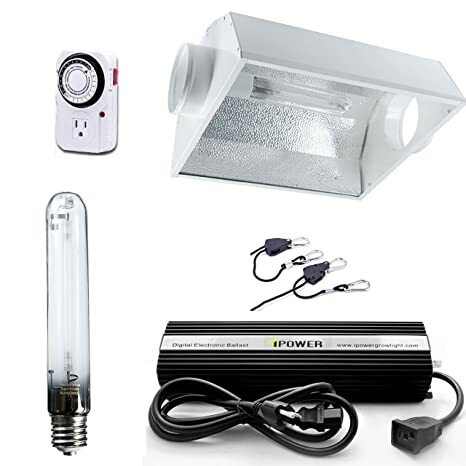 No longer at the mercy of the weather. 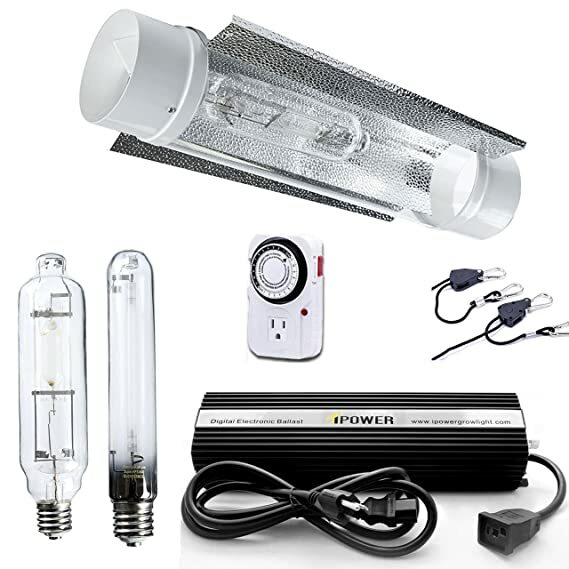 The iPower 600-watt High Pressure Sodium Bulb lets you grow better by providing reliability and performance. 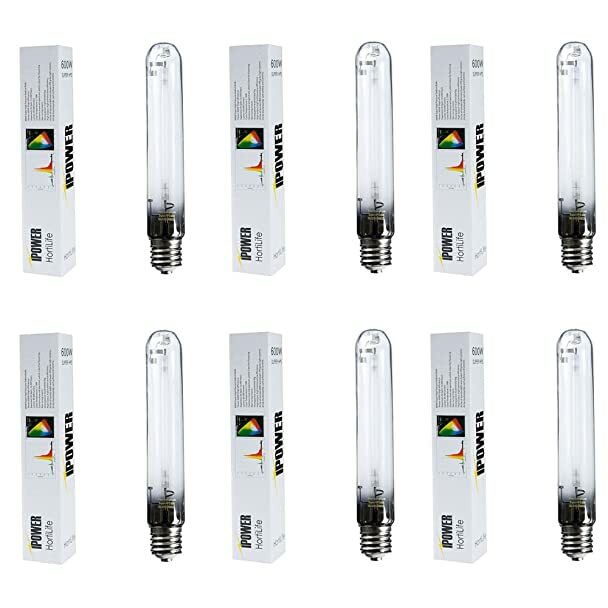 By concentrating its output around 550-600nm (yellow to red) wavelength of light, this bulb provides the essential spectrum needed for most plants on proper plant elongation, and maximized photosynthesis efficiency, proper fruiting, blooming, and flowering. 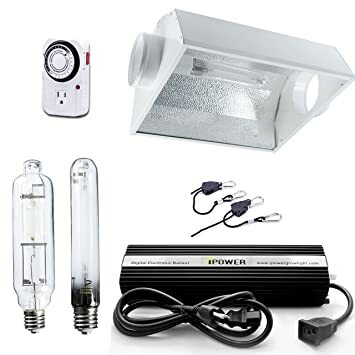 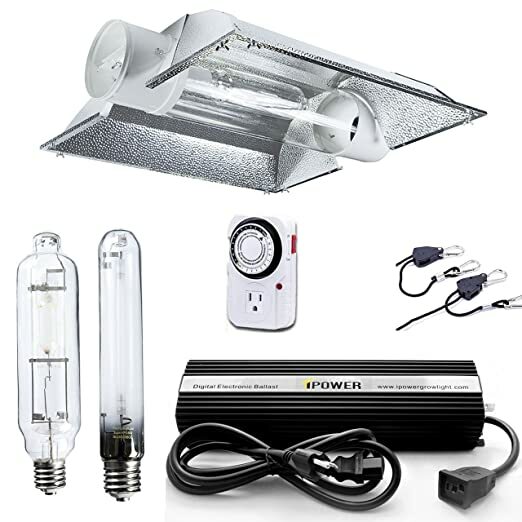 Weight 0.375-pound Maximum power 600-watt Base type Mogul E39 Initial lumen (Lm) 85,000 Color temperature 2,100 kelvin Color index (RA) 20 Expected Life Span 24,000 hours Frequency (Hz) 60 Bulb orientation vertical and horizontal Non insect-luring Great fog penetration Compatible with all standard 600-watt digital ballasts.